Over the past couple of weeks, it has been suggested that Seattle police officers should not be present at “anti-Trump protests” or instances of nonviolent civil disobedience. Further, the idea has been raised that police officers should be deployed to prevent federal officers from making immigration arrests in the city. We listened. Based on what we have heard from a wide variety of community members, and the Council’s review of the cost projections, we want to take another look at the component parts of the building and even redesign some of them in an effort to lower the cost. Sometimes it is important to pause and reconsider a decision. That’s what we’re doing here with this project. A new precinct building for our police officers serving north Seattle must be constructed. The current facility is not suitable and needs to be replaced. But, by taking a closer look at the design and the various parts of the proposed building we may be able to substantially lower costs as many Seattleites have encouraged us to do. For example, maybe the training center doesn’t need to be as large. While the community space in the building is important, perhaps it too can be resized in an effort to lower costs. This building has the potential to be more than just a new precinct station. The training center and community rooms are critically important in our work to build connections between our police officers and our communities. And, this new precinct is designed to last for as long as 50 years, an important consideration given the current and expected future growth of Seattle. The City Council will vote this afternoon on legislation advancing the proposed new police facility in north Seattle at the intersection of 130th and Aurora Avenue North and requiring additional cost analysis and community review. Here are the reasons I support moving forward with this project. This week has been difficult for me to process. On Tuesday and Wednesday, two more black men, Alton Sterling and Philando Castile, were shot and killed by police officers in Louisiana and Minnesota. As I struggle to balance my emotional reactions to these tragedies with the need to let the investigations take their course, I cannot ignore one fact: people of color in our country, particularly black men, keep getting shot by police officers. This is not a new phenomenon, but with the widespread use of video technology, all Americans can see it now with their own eyes. Then last night we watched in horror as a targeted hate crime was carried out against Dallas police officers who were simply doing their job to protect peaceful protesters. Once again, gun violence destroyed families and ripped communities apart. At the same time as the Dallas attack, our Seattle police officers escorted and protected peaceful Black Lives Matter protesters on our streets. It is no secret tensions exist between the police and communities of color, but that does not stop our officers from providing this fundamental protection of democracy. It does not stop them from patrolling our neighborhoods day and night to keep all of us safe. These officers deserve our respect and gratitude and, in the aftermath of last night’s terror, our encouragement and support. They also deserve to be held to a high standard of behavior. I believe strong support and robust accountability go hand in hand. Moving forward, let us continue the hard work of restoring relationships between our police officers and all our communities, for the sake of everyone’s safety. Let’s make certain that we continue forward with our reforms of the police department, strengthen civilian control and oversight, and keep building public trust and confidence in our officers. When Kathy O’Toole assumed command of the Seattle Police Department in June, 2014, she inherited a police department rife with staggering management challenges. For years, ineffective management had led to inconsistent practices, a lack of accountability, very poor tracking of resource deployments, out-of-date technology systems in need of dramatic overhaul, and a stagnant management culture highly resistant to change. To put it bluntly, our police department was a mess, redeemed only in part by the individual efforts of officers and civilian employees who continued to do their jobs as best they could. Chief O’Toole has taken steps to build a stronger, more effective management environment, but it’s going to take a long time to right this ship. The City Council recently received a report commissioned by Chief O’Toole to determine proper police staffing and deployment levels. Chief O’Toole delivered the study to the Council with this cover letter. At a very high level, the study concludes we should hire an additional 61 to 93 officers above the Mayor’s 2014 commitment to hire 100 net new officers, which aligns with the Mayor’s more recent announcement of an additional net 100 officers by 2019. The report provides good context and helpful comparisons to other cities that will lay the groundwork for specific actions by SPD leadership. Yesterday the Council’s public safety committee approved a resolution supporting a new prescription drug take-back program in King County. The County is currently recruiting pharmacies willing to host drug take-back drop boxes. Pharmaceutical companies provide funding for the program; pharmacies won’t have to pay at all. I cosponsored this resolution with Councilmember González to draw attention to a practical step we can take to curb prescription drug abuse. News reports have focused recently on the epidemic of opioid abuse. We have seen local usage of narcotics such as heroin rise dramatically, resulting in a spike of deaths related to drug overdoses. And we know that these two are linked: prescription drug abuse leads to heroin addiction. We also know that youth and young adults are most likely to experiment with opioid pain relievers using pills that came from a friend or family member’s prescription. Putting the pieces together, we can reduce abuse by reducing the availability of excess prescription pain medication in people’s homes. For years pharmacies have collected unused over-the-counter medicines. Only recently, however, has the legal landscape changed to allow pharmacies to collect unused controlled substances like OxyContin, Vicodin, Valium, and Ritalin. Encourage your local pharmacy to participate in this new program. They can sign up by contacting Taylor Watson, the program manager at King County (taylor.watson@kingcounty.gov). This resolution will be considered by the Full Council on Monday, April 4. The Council’s public safety committee was briefed yesterday on police department response times to high priority 911 calls. It was refreshingly transparent and candid. I remember attending many similar briefings over the past eight years and hearing police leadership repeat over and over again that they met the seven minute standard consistently and city-wide. Yesterday, we heard a very different report. Unfortunately, the former leadership in SPD used a calculation methodology that arbitrarily and artificially lowered response time figures. * While this method allowed them to claim they were meeting their goal, it did not match what Seattle residents expected or experienced. Chief Kathy O’Toole and her leadership team acknowledged yesterday that the Times article prompted them to look more closely at the calculations and provide a more accurate assessment. Bravo to Chief O’Toole and her team. Before sharing the new numbers, it’s important to keep several factors in mind. Two weeks ago I spoke on a panel at a White House forum on innovations in policing about Seattle’s Law Enforcement Assisted Diversion (LEAD) program. The LEAD program allows the police and prosecutors to redirect nonviolent, low level adult offenders away from the criminal justice system and to social service providers. I’m a big fan of necessary innovations like LEAD as we seek on many fronts to address the failure of mass incarceration in this country. You may have heard this statistic: the United States accounts for 5% of the world’s population, but we hold 25% of the world’s prisoners. 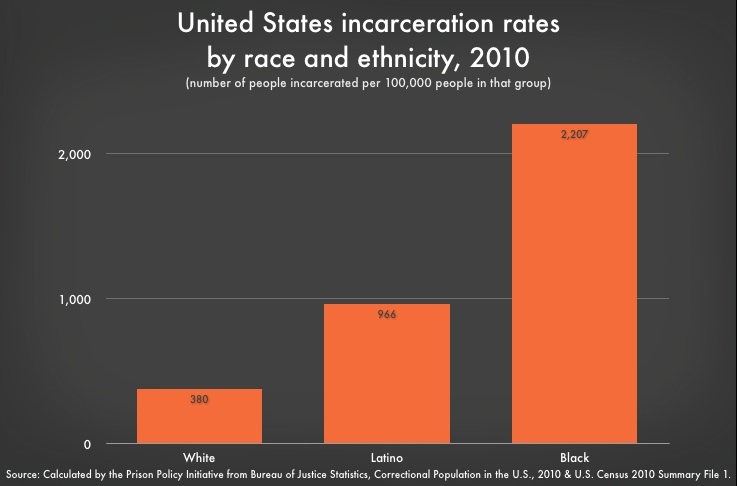 Our country incarcerates far too many people (including juveniles) and perpetuates a criminal justice system that punishes people of color at a much higher rate than their white counterparts. We’ve even shamefully nurtured a for-profit prison industry that now applies political pressure to achieve higher levels of detention and incarceration. It’s just wrong to put individuals addicted to alcohol and drugs or suffering through a mental health crisis in prison if their crimes are low-level, non-violent, petty offenses. Unfortunately, as a society, we do it far too often. LEAD is one response to this tragic reality. Chief O’Toole has taken a significant step toward rebuilding the public’s trust and confidence in our Police Department in the hiring of four new assistant police chiefs and a new chief technology officer. It’s a bold step. A very correct step. In December 2013, Councilmember Harrell and I introduced legislation lifting a 35-year ban on the hiring of police commanders from outside the police department. We introduced that ordinance because we wanted the Chief of Police to be able to recruit the best possible candidates for these very important positions – from inside or outside the department. Lifting the ban on external candidates was a necessary legislative step toward the reform we want . . . reform that results in effective policing, fair and professional policing, constitutional policing. Chief O’Toole has wisely balanced knowledgeable inside candidates with proven leaders from other departments and the private sector. My colleagues and I are convinced that with strong leadership at the top, our police officers will meet our expectations. They will serve with distinction. They will protect our neighborhoods, our people and property. There is much yet to do, but with Chief O’Toole’s leadership, with the leadership of these new commanders, I believe we will continue to make great progress toward the policing we all want for Seattle. Earlier this month I joined Councilmembers Bagshaw and O'Brien and host Brian Callanan on the Seattle Channel to talk about Bertha, encampments and public safety issues. You can watch the video below.